It all started in Bergen, Norway in 2004. Brothers Axel and Pål Vindenes got together with friends Stian Sævig and Jonas Nielsen and decided that they would make a band and play a one-off concert for their friends, but not just any concert, it was going to be the most spectacular concert Bergen had ever seen. They called the band KAKKMADDAFAKKA. The show was spectacular, and their friends insisted that they play more, and keep the name. So they did. Their sound was as confusing as their name, taking the instruments that their parents had forced them to learn, and picking elements from almost every musical genre. With their maximalist approach, playing with as many friends as they could fit on the stage, they soon attracted attention around Norway, breaking their countries musical traditions of sophisticated electronica and understated pop. Over the years the band reduced their fixed line-up to just 8 on stage, with Kristoffer van der Pas on drums and the 3 piece dancing troupe known as the the Kakkmaddachoir. But the very thing that made the band stand out, the raw energy and exuberance of their live show, proved to be the biggest obstacle when transferring the band to record. Their 2007 self-released debut album ‘Down To Earth’ was recorded when the band were aged just 15 to 17 and produced by their 15 year old friend, Matias Tellez. The result was predictably chaotic and although the band managed to capture some of their essence and demonstrate the ingenuity of their song writing, the recordings generally lacked focus and technical quality. The band did not see this as a failing but as a learning, and chose to focus on what they do best and went back on the road and continued to develop their live show. It is a testament to the strength and uniqueness of their live performances that their reputation spread so widely by word of mouth and personal recommendations. Festival bookers also became aware of the growing buzz, and the band found themselves on stages at Iceland Airwaves, Montruex Jazz Festival, The Secret Garden Party (UK) and were introduced to German audiences at Melt festival in 2009 and 2010. With a ever expanding fan base calling for an album they could actually get their hands on, and after a 3 year recording break, the band realized it was time to get back in the studio, and to approach things differently this time. It was here that the band made an unlikely collaboration with fellow Bergen native Erlend Øye, better know as one half of the duo Kings Of Convenience and frontman of The Whitest Boy Alive, who offered to act as producer on their album. Although it might initially be difficult to see the parallels between an artist who has built a career on his melancholic, reserved sound, and a band known for their excessiveness, both felt that they shared a common musical philosophy. The relationship proved to be a great success. As Axel says, ‘We learnt a lot from working with Erlend, he taught us to take our time and pay attention to the details, and the importance or telling a story with your music and lyrics’. The result was ‘Hest’, the nine-track 2011 release filled with everyday tales from Bergen’s young social circles, dealing with sensitive situations such as meeting girls, meeting the right girls and killer hang-overs. The album also displayed the band’s development as song writers and musicians and the singles ‘Restless’ and ‘Your Girl’ received heavy radio rotation around the world and found their way into the ears of many new listeners. The band finally felt that they had surpassed their tag of ‘just a great live band’, but that did not stop them continuing to tour extensively across Europe, but now the crowds had grown exponentially. The band also found themselves rising up the billing of major festivals and between 2012 and 2013 played at Hurricane (DE), Southside (DE), Dockville (DE), Lowlands (NL) and Arenal (ES) amongst others. Despite the months of touring the band felt inspired by new creative process that developed while working on ‘Hest’, and by late 2013 they felt they had written enough material to return to studio and record a new album. It was a natural step to accept Øye’s offer to again produce the album, and the band falsely believed that the recording would go more smoothly on their second try. Axel tells, ‘We had worked on the songs a lot before we got even got to the studio, and we naively thought that we could get the recordings done in a short week session. It turned out Erlend had different ideas about that!’. The recording and production ended up taking six challenging months, with Øye increasing his fine-tuning of the tracks and pushing the band to new levels of musical craftsmanship. The end result is the album that has been given the anecdotal title ‘Six months is a long time’. Released is spring 2013 ‘Six Months is a Long Time’ provided a new installment of Bergen gossip, but as the band move into their mid-twenties the stories have now moved on from just partying and meeting girls, to the more complicated business of keeping girls and making relationships actually work, and the break-ups. The tracks also demonstrated the bands maturity as song writers, and singles ‘Someone New’, ‘Forever Alone’ and ‘Young’ again finding appreciative ears around the world. 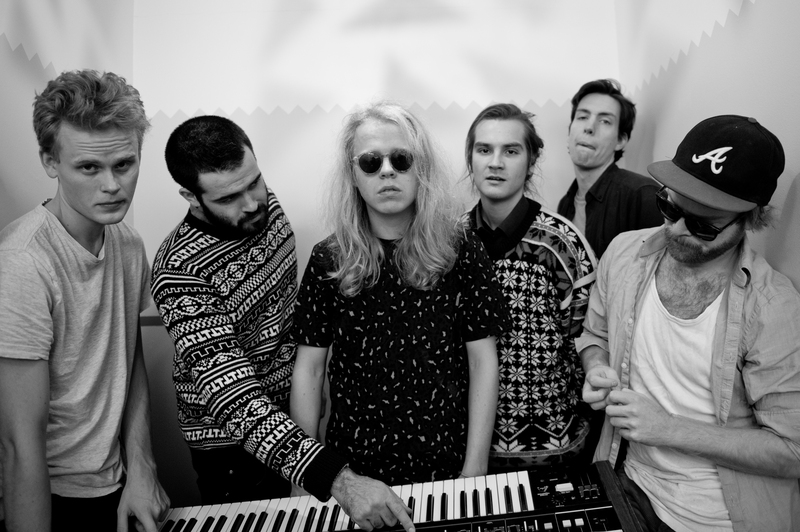 After a break from touring to record the album, KAKKMADDAFAKKA hit the road again in 2013 with a new live show which was on show at some of Europe’s biggest festivals, and in sell-out tours of Germany, France, Spain and the Netherlands. With no end in sight, 2014 will be another busy year of touring and breaking new ground, with tours scheduled for the whole of Europe and kicking off with a performance at Mexico’s largest festival ‘Vive Latino’ in March, and ending the year with a 10 year anniversary concert back where it all started, in Bergen.